Do I have the right to buy my WGHC home? WGHC is a fully mutual housing co-operative. All its tenants are Members and all Members are tenants. Collectively, the Members jointly own the houses and flats they live in and control the way the organisation is run. As all the housing is jointly owned by all co-operative Members, they do not have the right to individually buy their home; but are tenants and pay rent to the co-operative. What does my Scottish Secure Tenancy Agreement say about this? Allowing WGHC to keep ownership of all its own stock, helps to ensure it remains in existence and that its housing will remain available at reasonable rents to those in need. WGHC will advertise any empty properties available to let to non-WGHC tenants, on the “Key to Choice” website. Copies of all advertised properties should also be available from any Edindex partner landlord. Each week we print out an updated list of all the advertised properties. Copies can be picked up from our reception area and are available to everyone. Applicants can note their interest in any of the properties advertised. This is called placing a bid. All properties are advertised for one week and the closing date for bids is every Friday. Generally, the property will be let to the first applicant on the shortlist who meets the criteria for the vacancy. You must be registered with Edindex to note your interest in any of the properties advertised. Edindex Application forms can be picked up direct from the WGHC Office or from partner landlord, including any Council Office, or you can download and print a form off from here. West Granton Housing Co-operative is committed to providing high quality customer services. If we can’t resolve your complaint at this stage, we will explain why. If you are still dissatisfied you can ask for your complaint to be investigated further through stage 2. You may choose to do this immediately or some time after you get our initial response. We can help you with making this request. How do I report a significant perfomance failure? The Scottish Housing Regulator (SHR) can consider issues raised with them about ‘significant performance failures’. A significant performance failure is defined by the SHR as something that a landlord does or fails to do that puts the interests of its tenants at risk, and which the landlord has not resolved. This is something that is a systematic problem that does, or could, affect all of a landlord’s tenants. If you are affected by a problem like this, you should first report it to us. If you have told us about it but we have not resolved it, you can report it directly to the SHR. 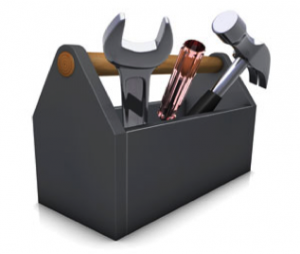 How do you categorise repairs? If there is a serious risk to health and safety, we will try to make the repair safe within 3 hours and complete it within 24 hours of you reporting it. For example, a burst pipe or no electrical power in your home. We will try to complete these repairs within two working days of you reporting them. For example, a leaking pipe or no hot water. We will try to complete these repairs within 10 working days of your reporting them. For example, a dripping tap or plasterwork repairs. What do I do if my electricity goes off? It is really just a modern day fuse box. All switches should be in the up position if everything in your electrical circuits is in order. If however a problem arises, it will cause one or more of the switches to trip. When this happens the switch or switches automatically go to the down position. 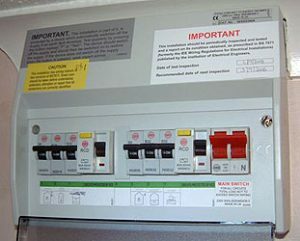 The switches in your consumer unit are all clearly marked to show what they are linked to e.g. your lighting or the sockets for your appliances. Appliances may be fixed appliances such as washing machines or boilers or anything plugged into a socket. If your electricity has gone off it could be that credit has run out on your prepayment meter OR a power cut in which case contact your electricity supplier. If it’s not that, try the following…. Switch off all the light switches around the house. Go to your consumer unit and first switch off all the lighting circuits. Then switch them all back on one at a time and the electricity to the lighting should come on again. Then switch each light switch on one at a time. If a switch or light is faulty the circuits will go off again. Repeat this procedure as before but this time do not switch on the faulty item. If the problem is a bulb – try replacing it. Otherwise please report the problem to WGHC. Switch off all appliance sockets and switches around the house. Go to your consumer unit and first switch off all the appliance circuits. Then switch them all back on one at a time and the electricity to the appliances should come on again. Then switch each appliance on one at a time. If an appliance is faulty the circuits will go off again. If the problem is one of your appliances (e.g. iron, kettle, vacuum cleaner) then you should replace or repair it. 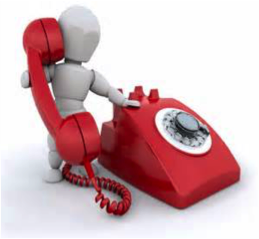 If it is something else then report the problem to WGHC on 0131 551 5035. 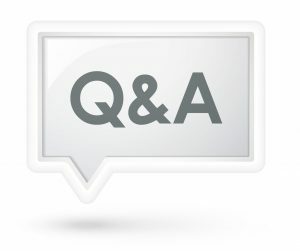 I'm a WGHC tenant, how do I apply for a mutual exchange? Please note NO mutual exchange can take place without WGHC’s permission. I’m having problems with noise from my neighbours. What can I do about it? 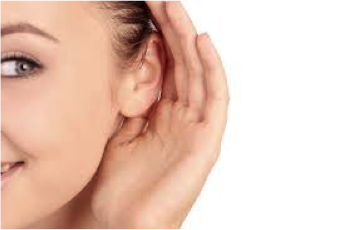 We expect tenants to accept that everyday activities will always create some level of noise. Noise generated within properties and from various occupant lifestyles (including families and different work patterns) can vary significantly between households. This is often more pronounced within flatted properties where both airborne and impact sounds can naturally travel from one dwelling to another. If noise becomes a problem, you can telephone the City of Edinburgh Council’s Noise Team on 101 at any time of day or night. The Team have dedicated wardens who can visit properties to measure noise levels and issue fixed penalty notices if appropriate. The Housing Management Team find this action helpful because the wardens can provide us with corroboration of any breaches of tenancy.